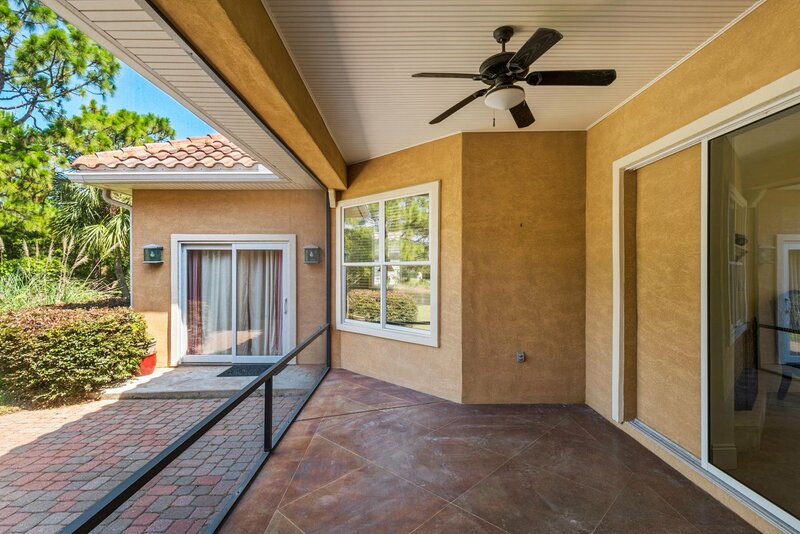 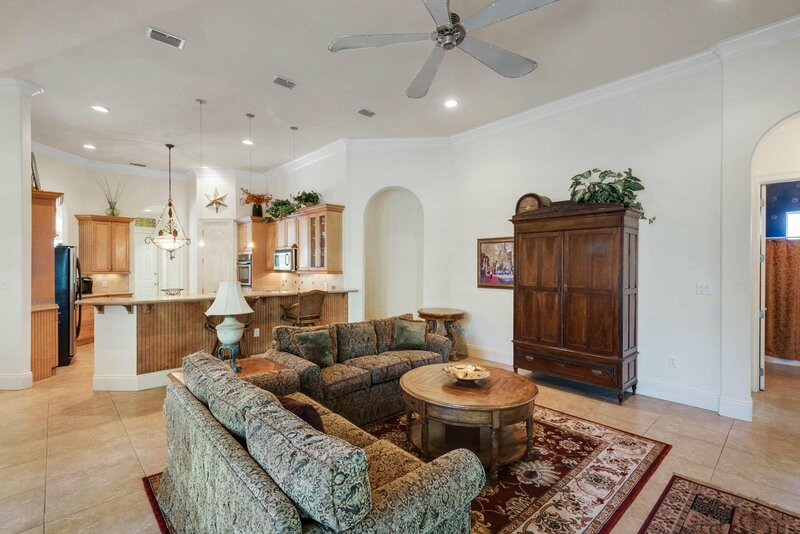 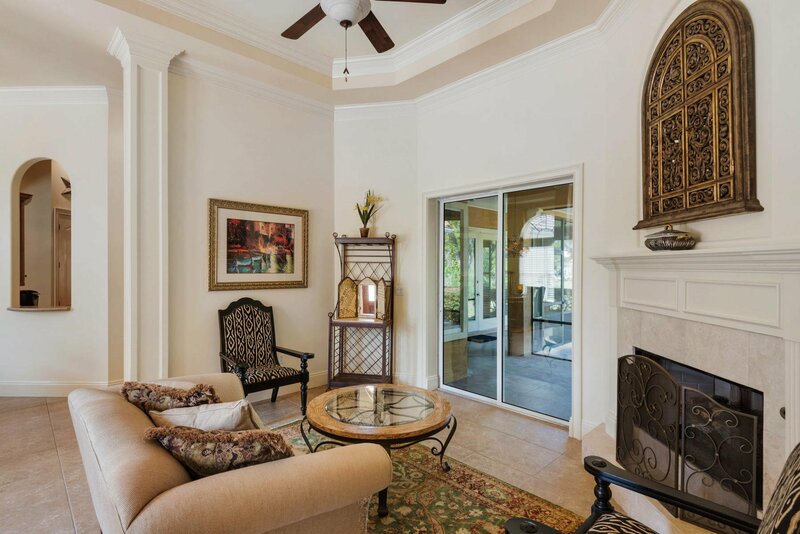 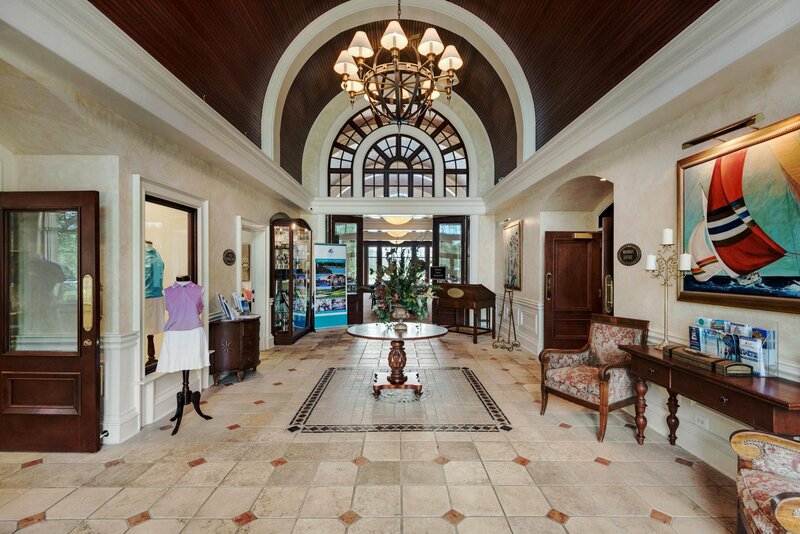 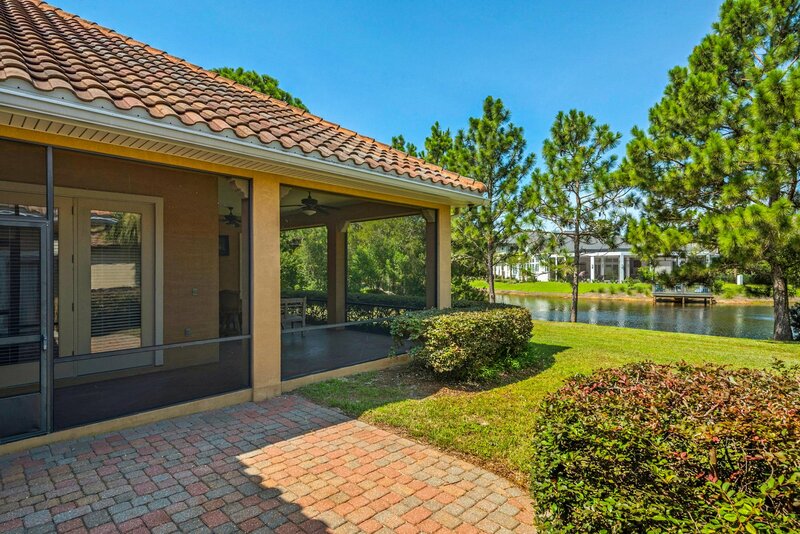 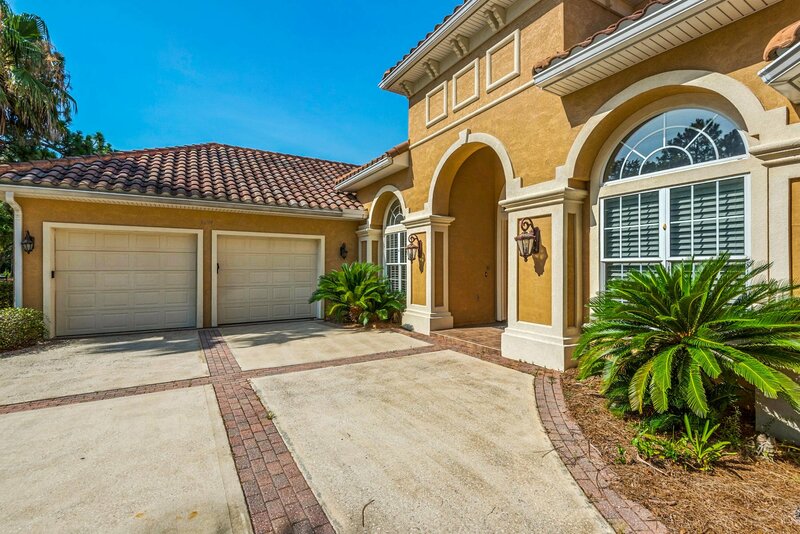 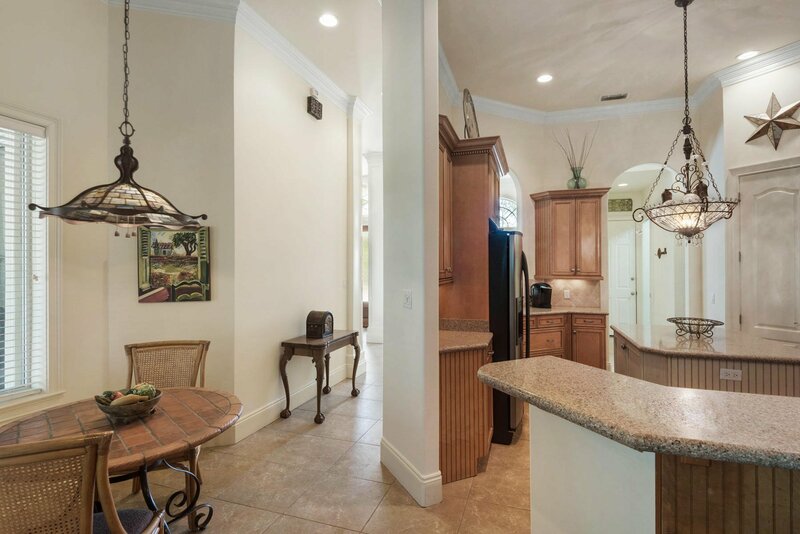 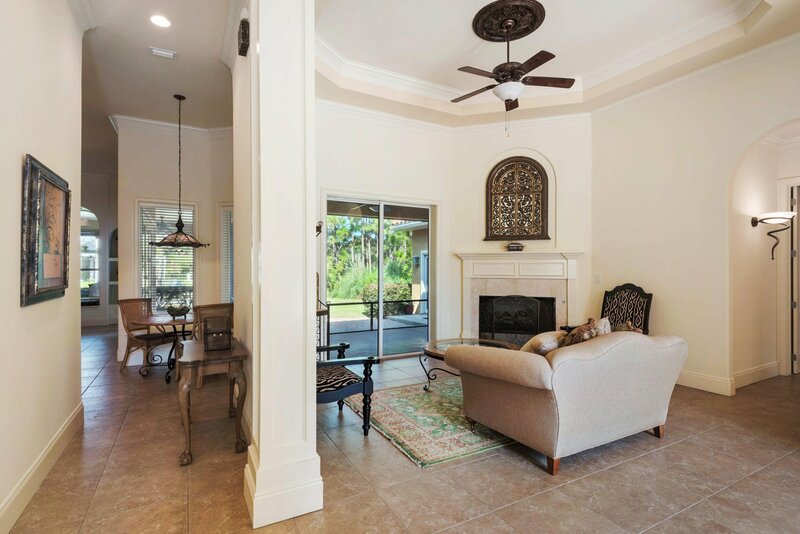 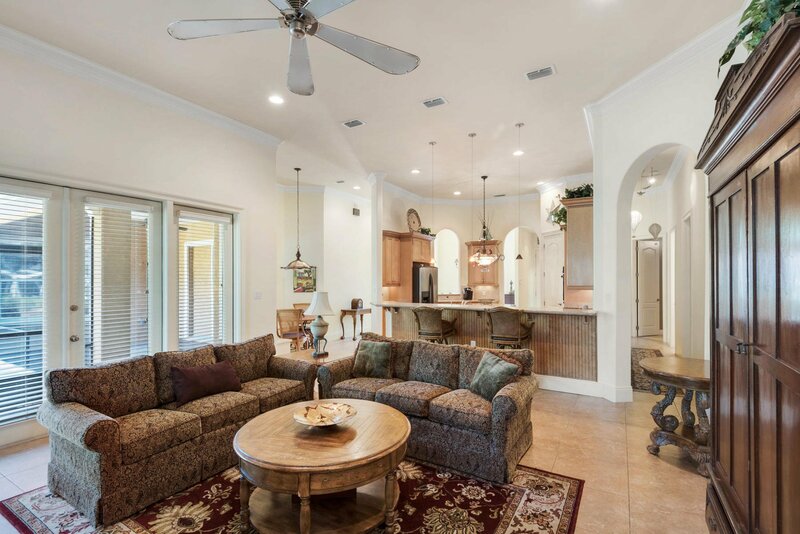 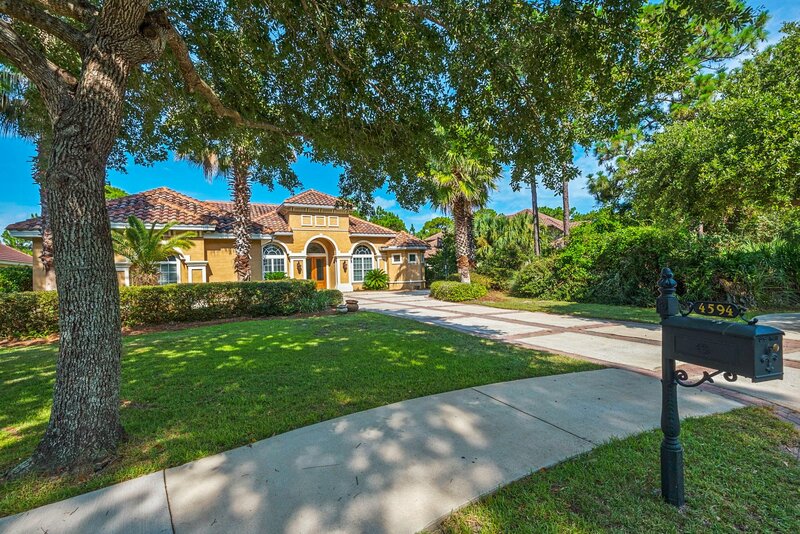 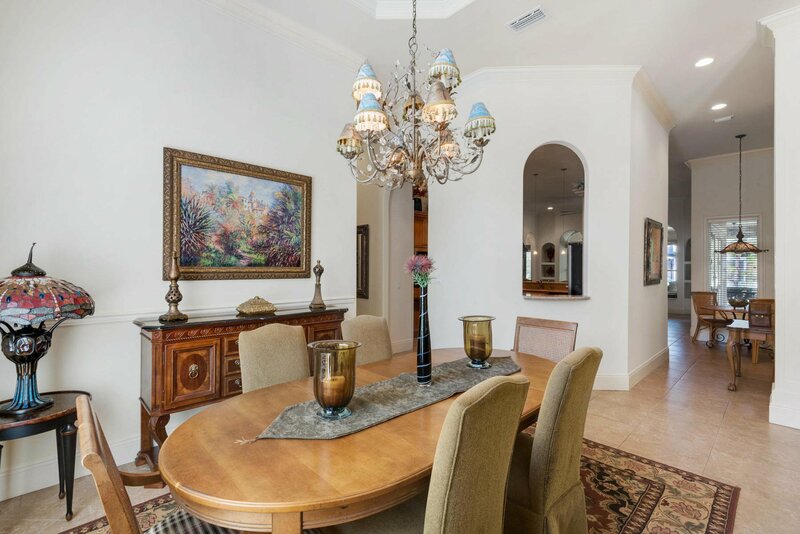 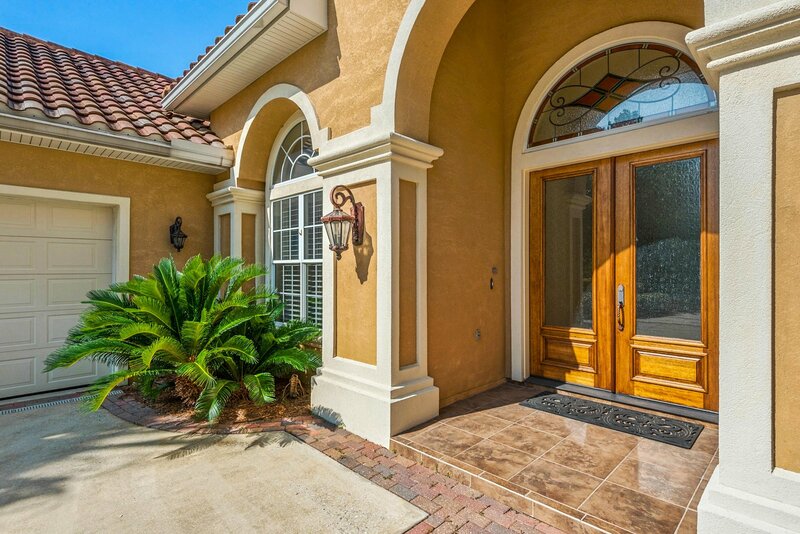 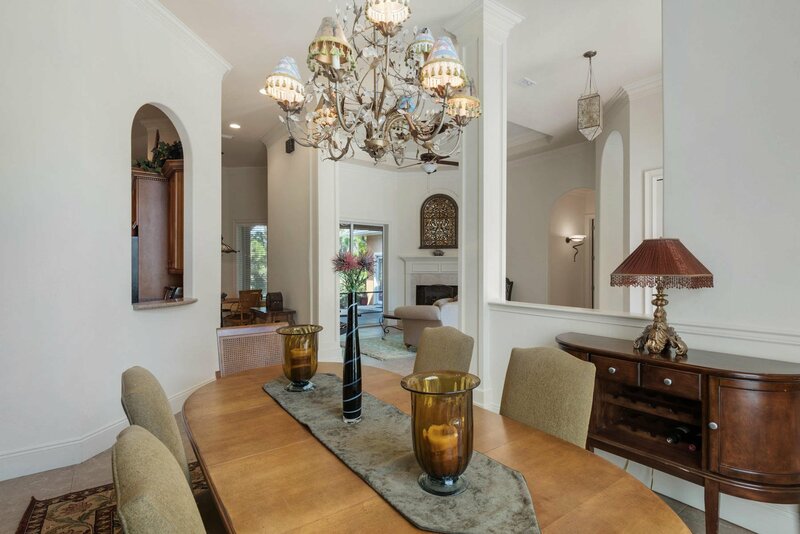 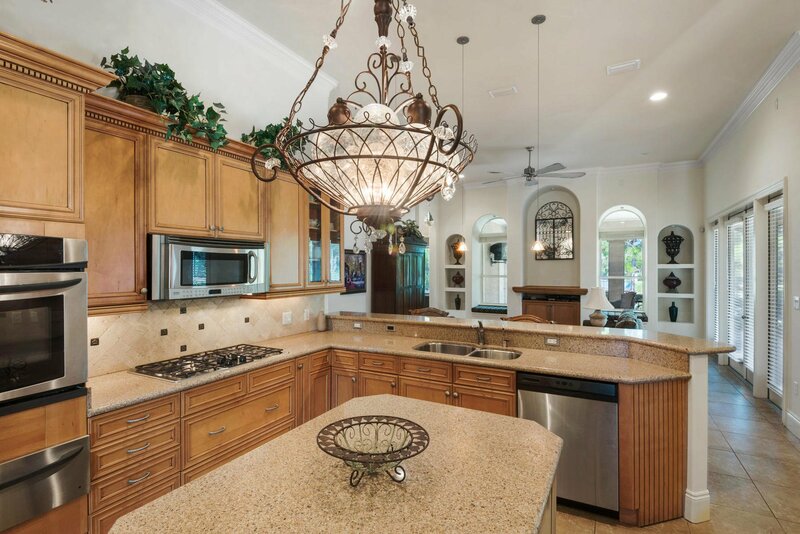 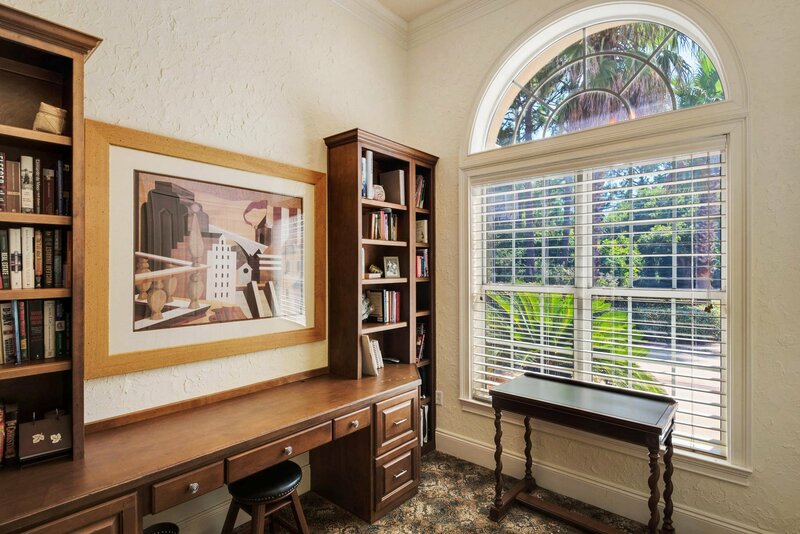 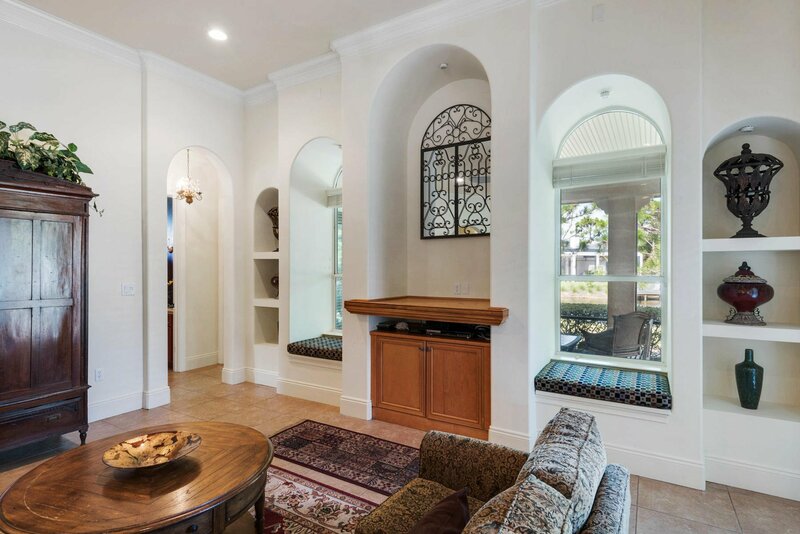 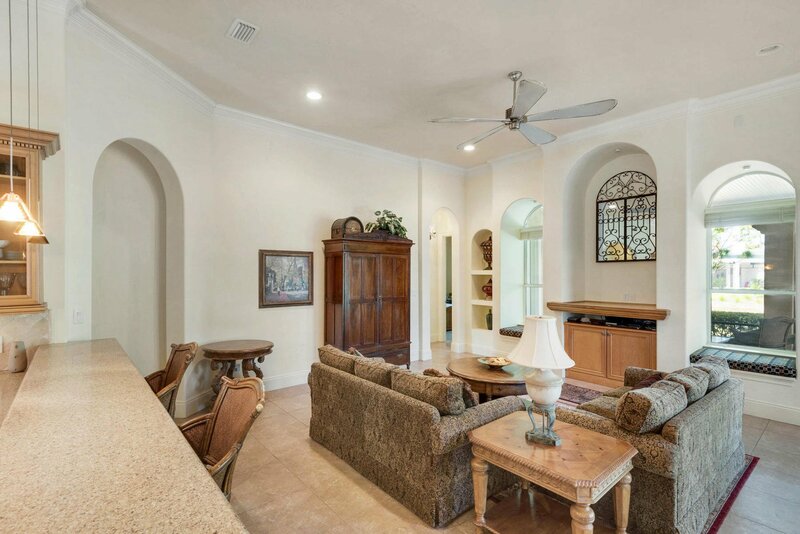 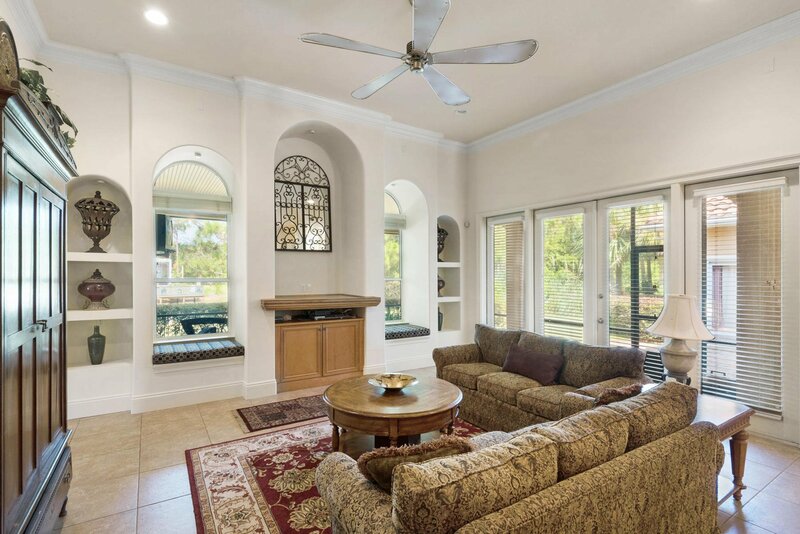 Luxurious family living all on one level in the esteemed gated golf community of Regatta Bay. 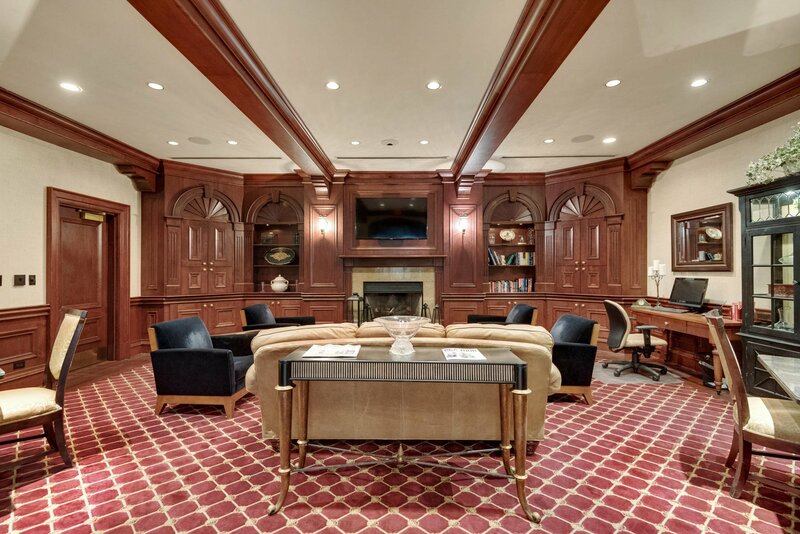 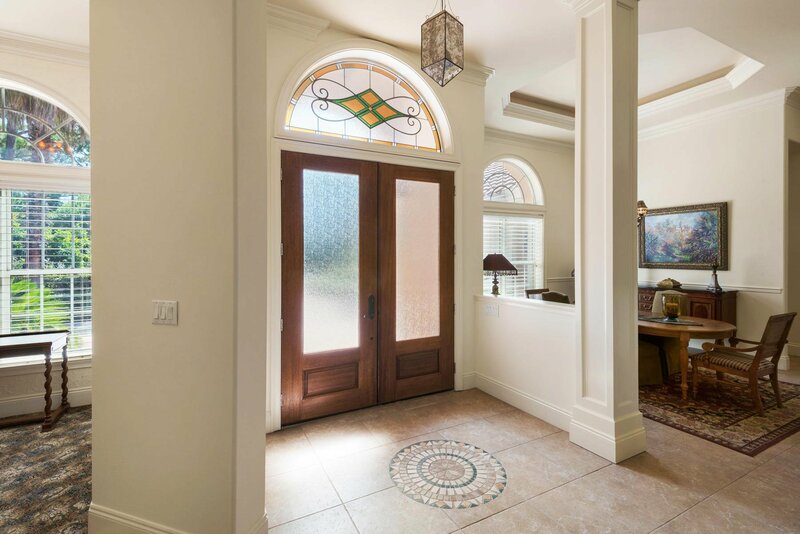 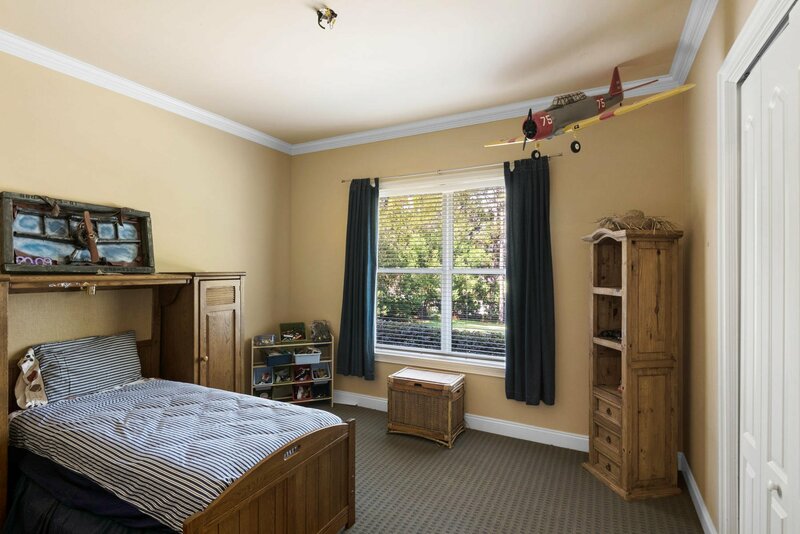 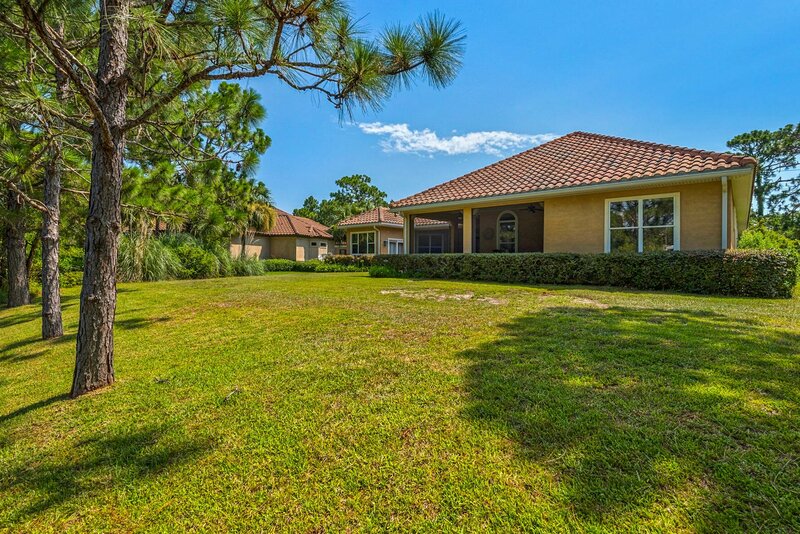 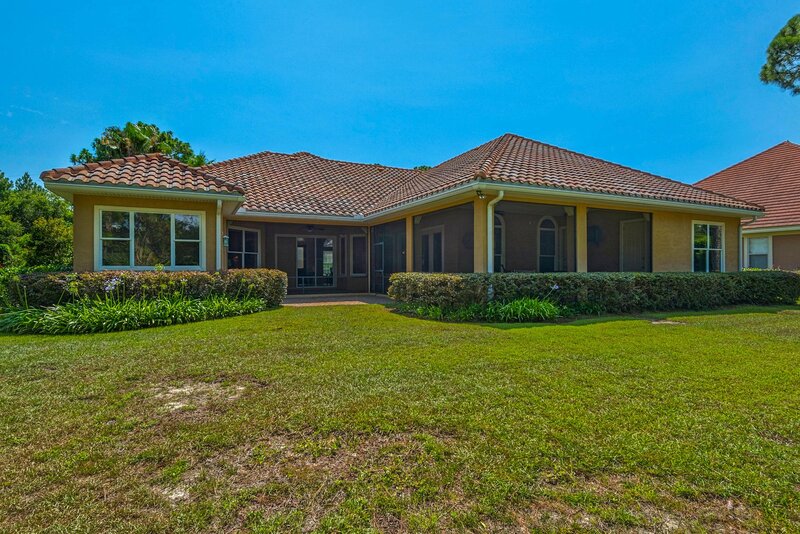 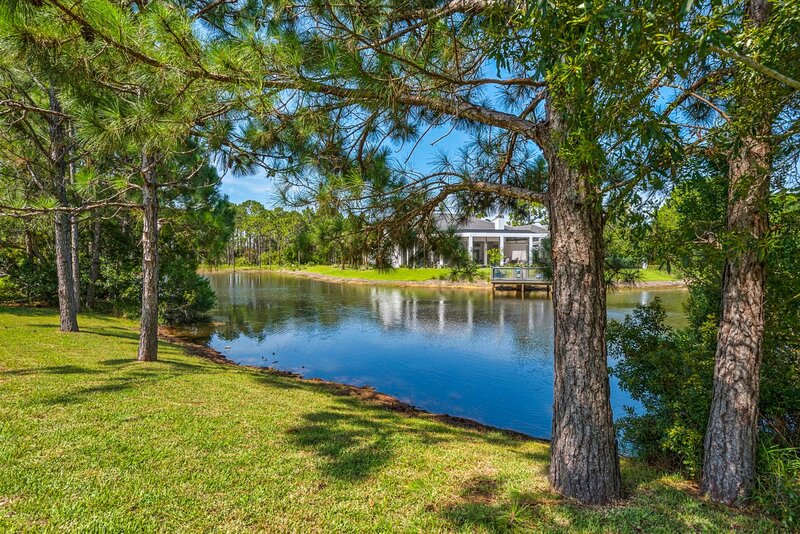 This 5-bedroom lakefront home is carefully planned with large family gathering spaces as well as areas for privacy including two home offices and a separate formal living room. 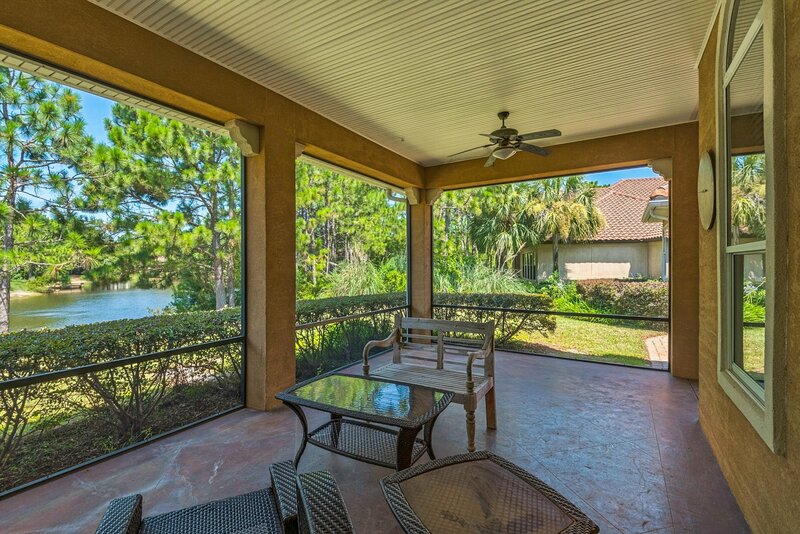 The screen-in lanai overlooking the lake ties the whole home together through multiple access points throughout. 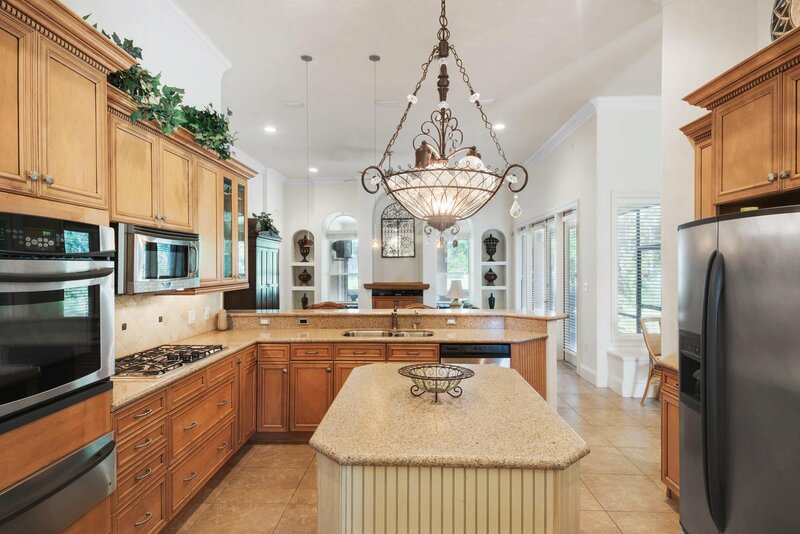 The kitchen holds the hallmarks of a gourmet kitchen: granite countertops, stainless steel appliances, gas cooktop, wine refrigerator, warming drawer, generous workspace, breakfast bar, and center island. 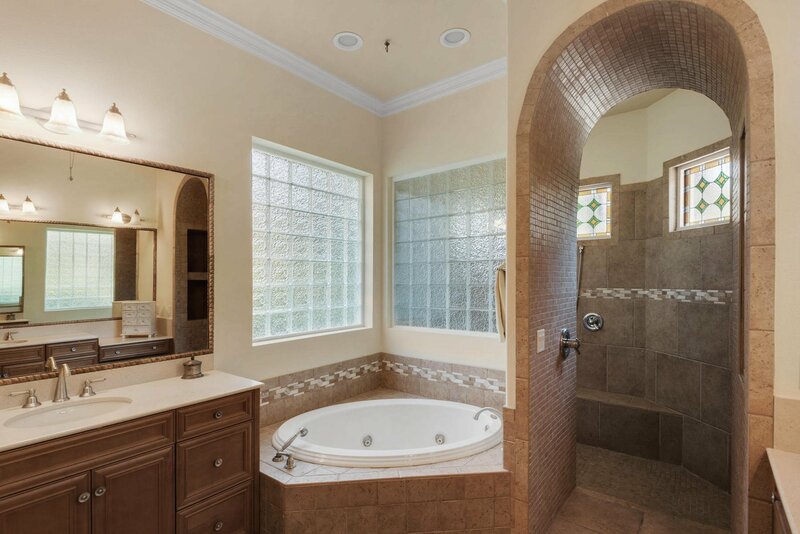 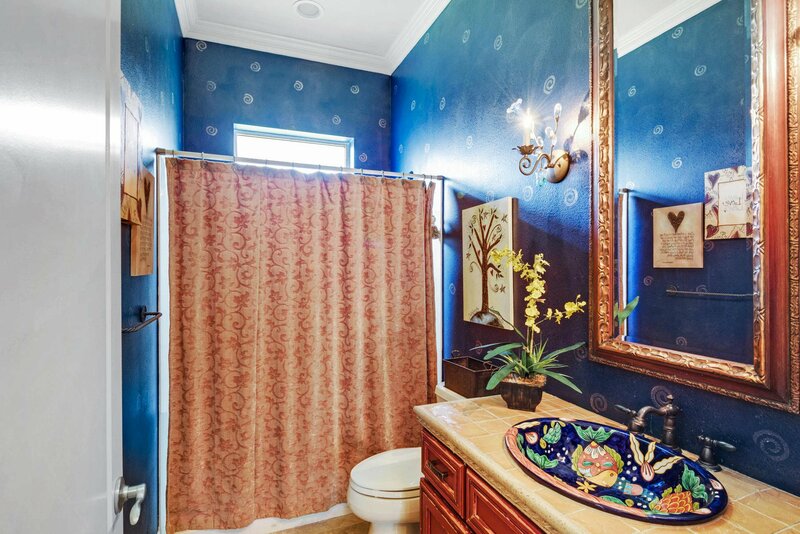 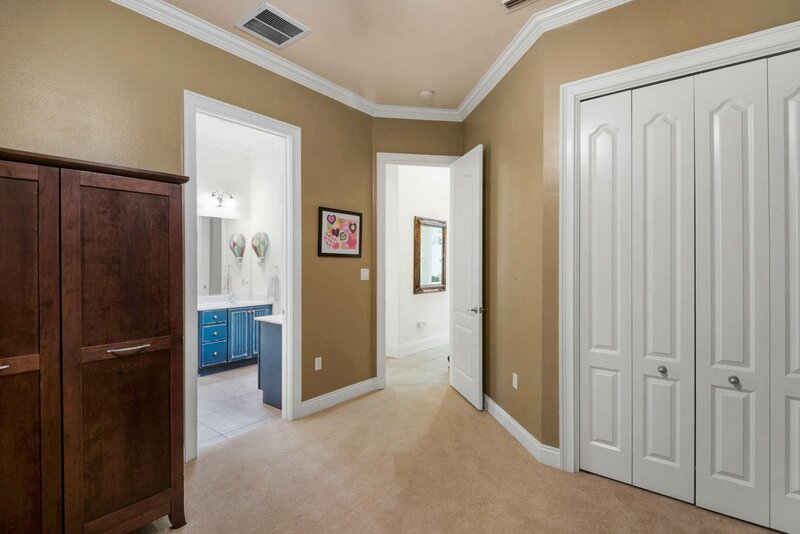 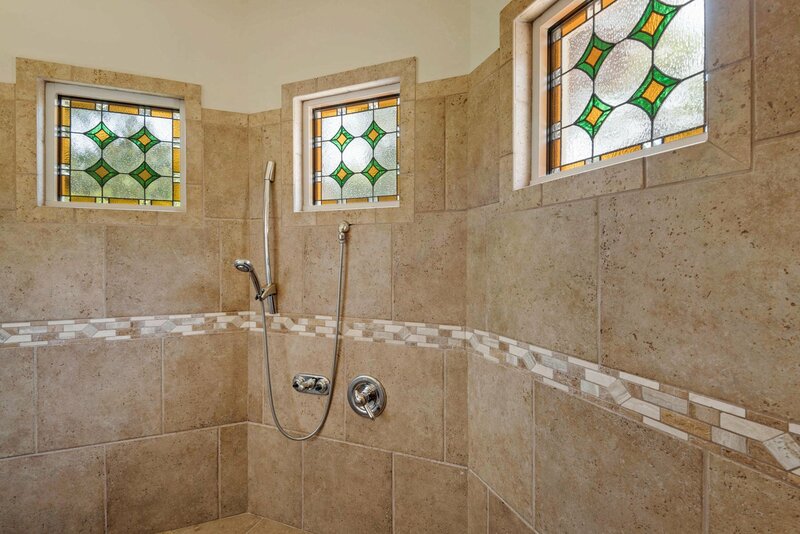 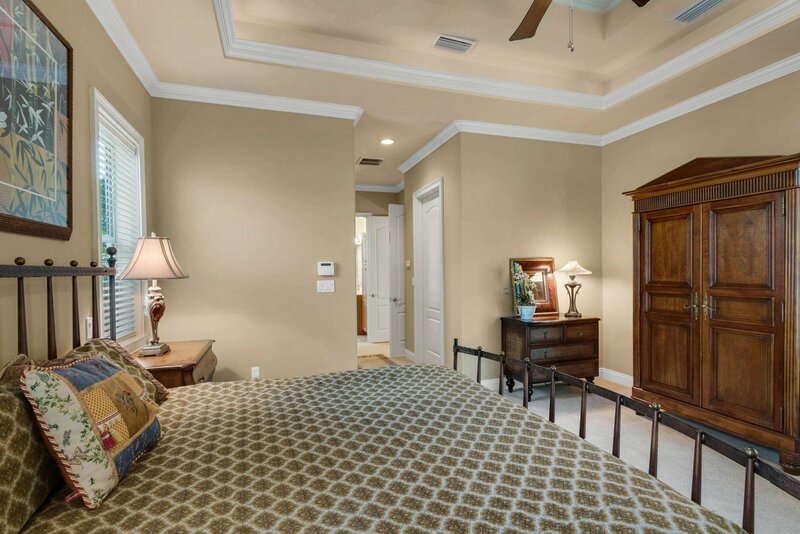 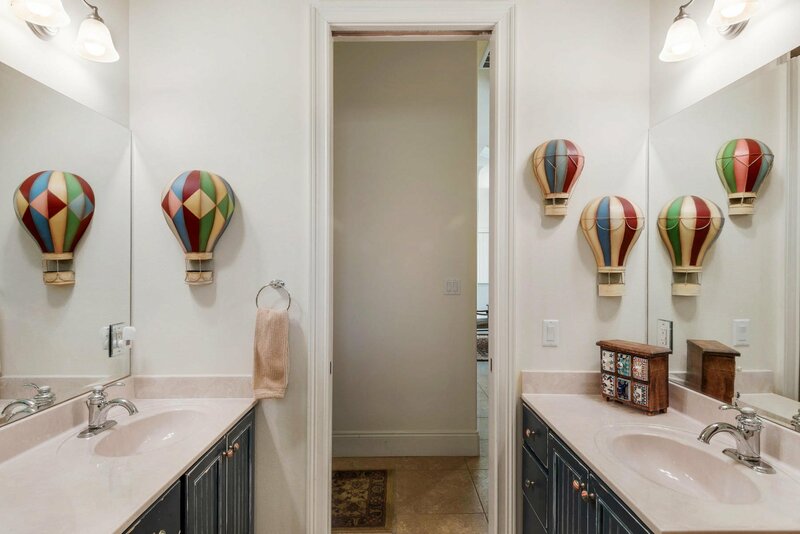 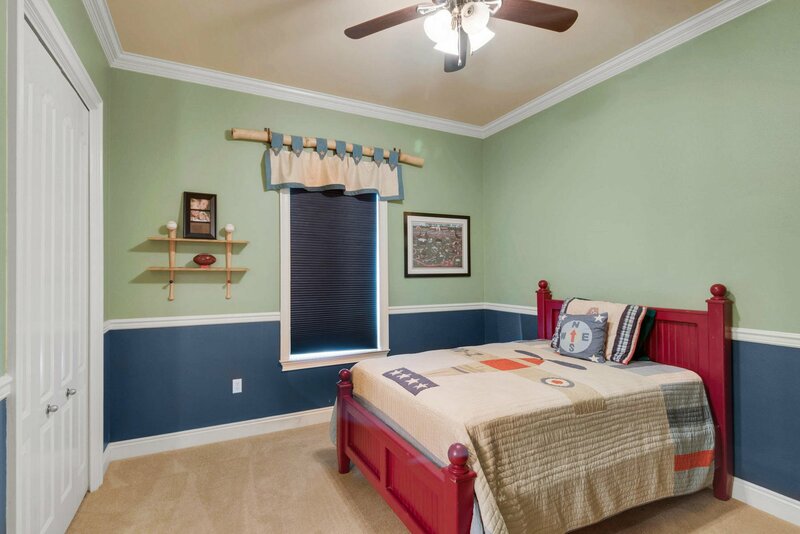 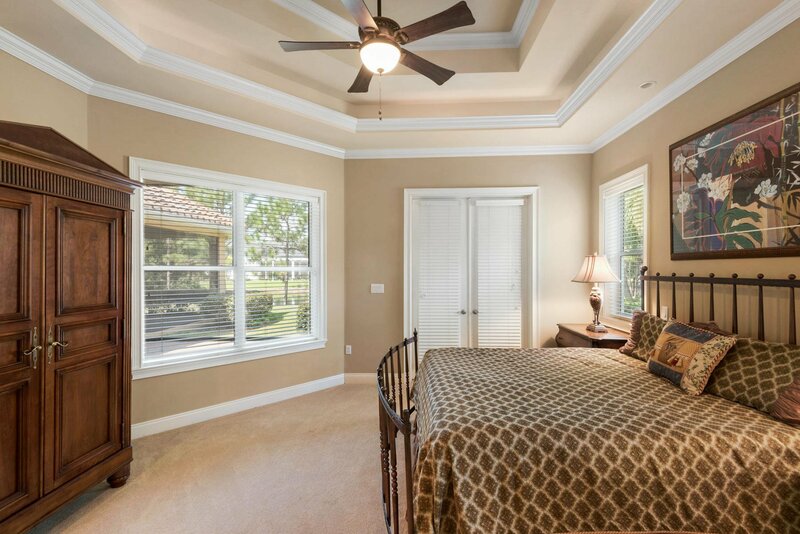 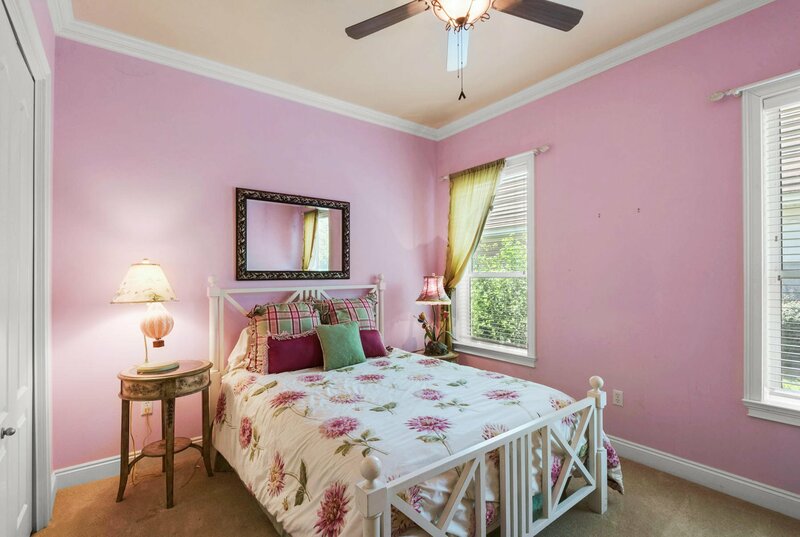 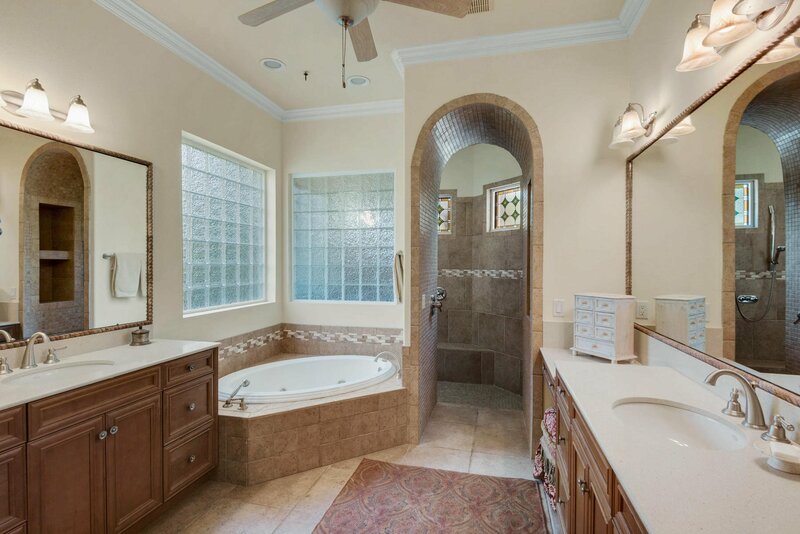 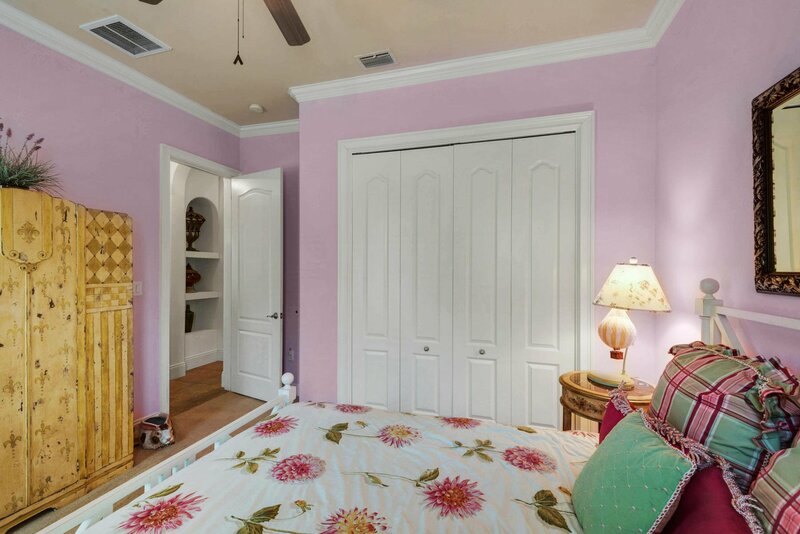 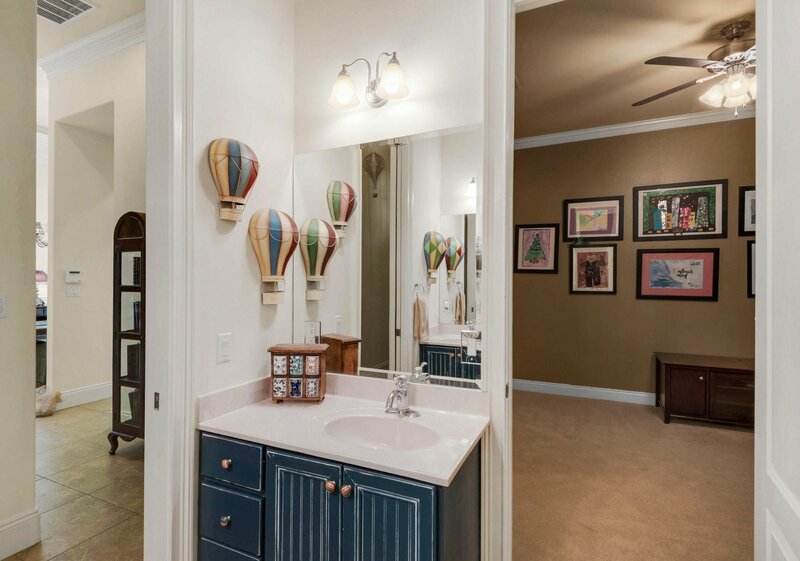 The master suite is a peaceful respite with lake views, private office, two closets, and an inviting master bath with separate granite topped vanities, garden tub, and large walk-in shower. 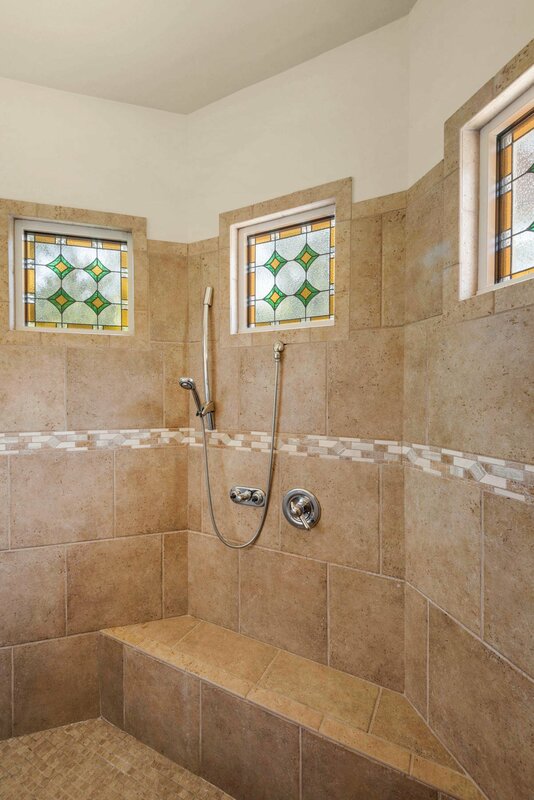 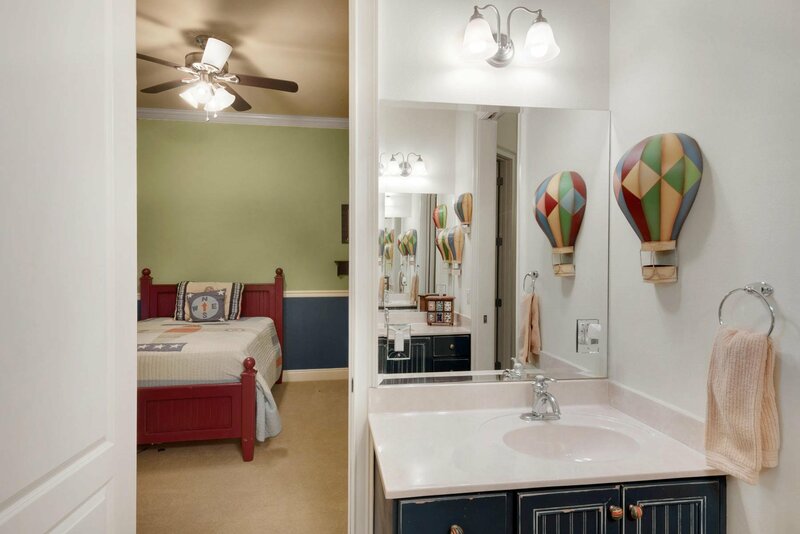 Two of the four guest bedrooms are united by a jack-n-jill bath. 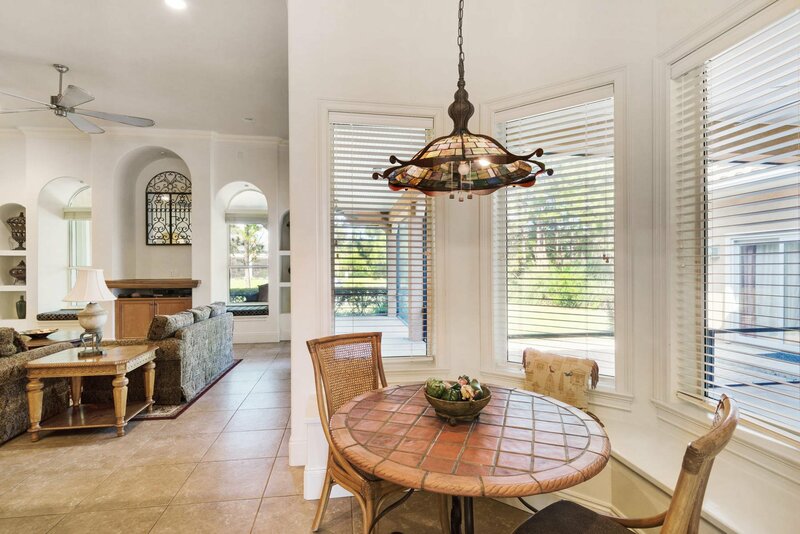 This home's earthy, meditative tones highlight views of the bright blue waters of the lake, while large windows allow natural light to reach deep within the interior. 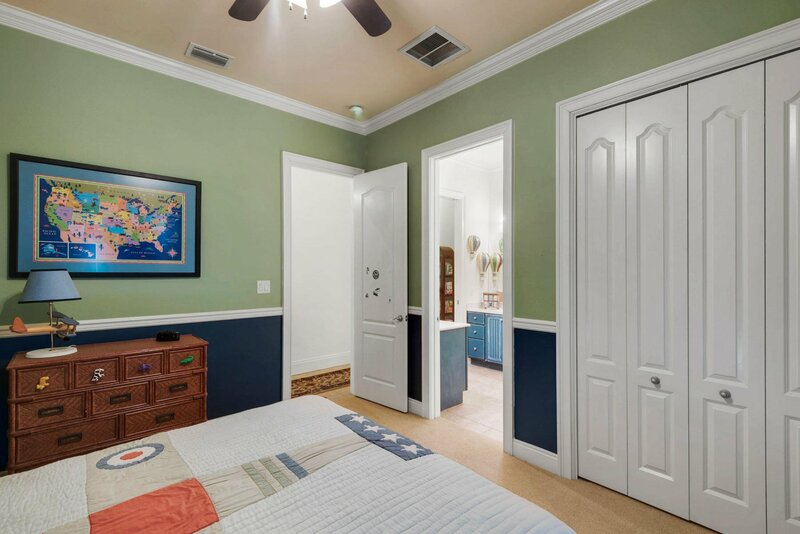 Additional notable features include a formal study with built-in bookshelves and cabinetry, Travertine floors, trey ceilings, and a sprawling backyard with room for a swimming pool. 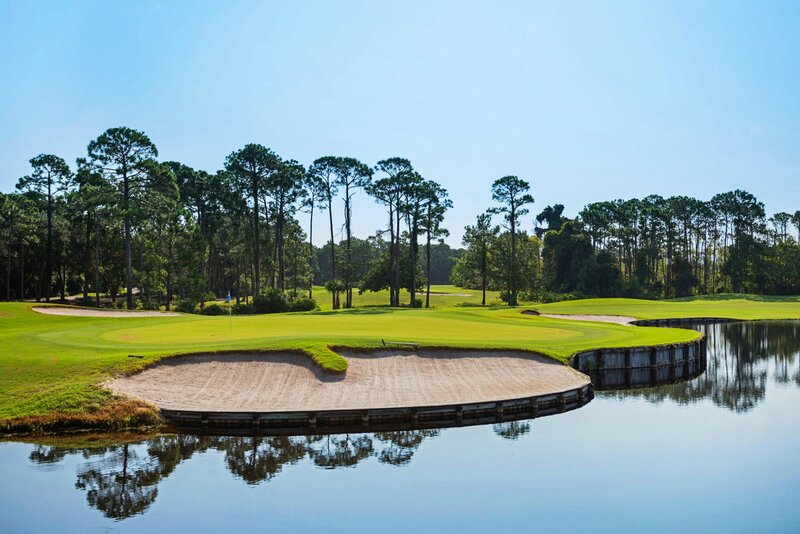 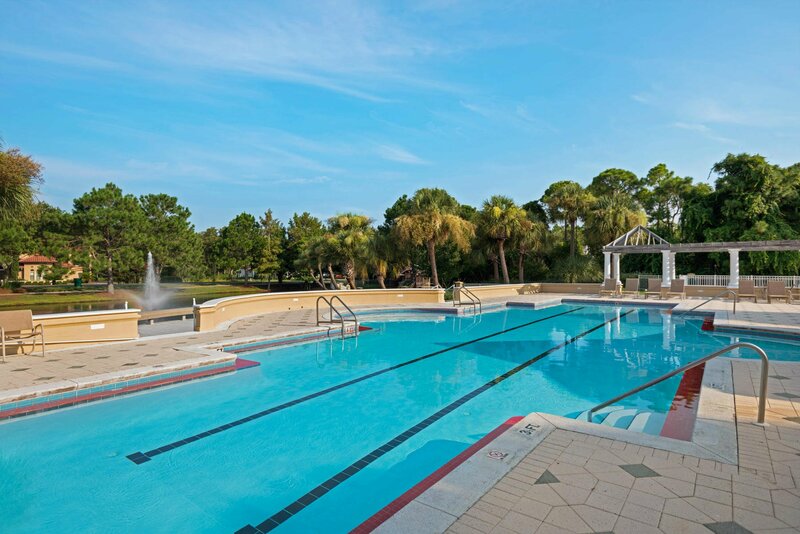 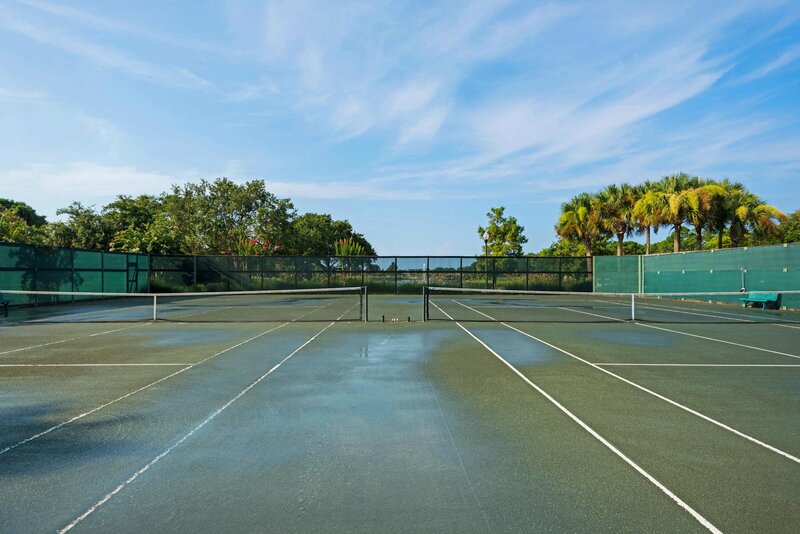 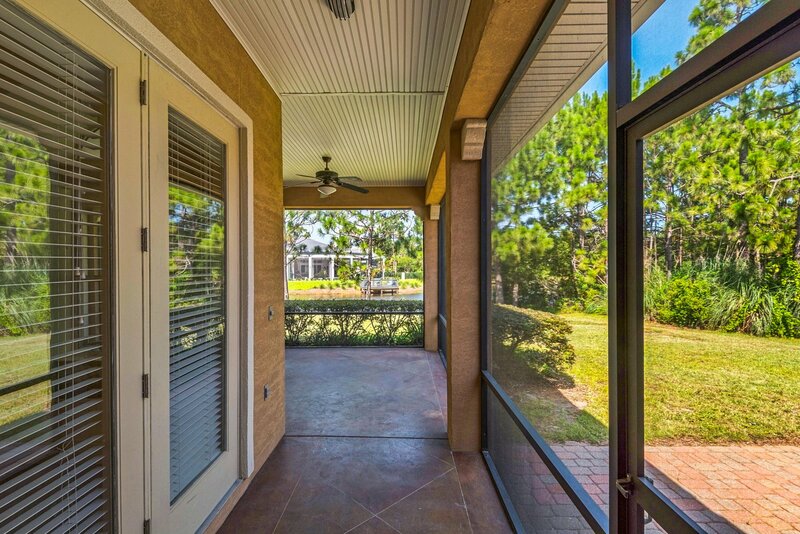 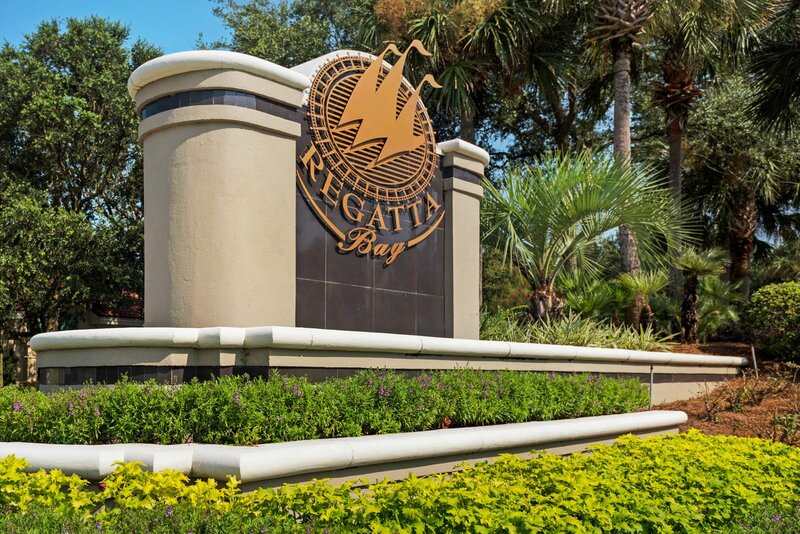 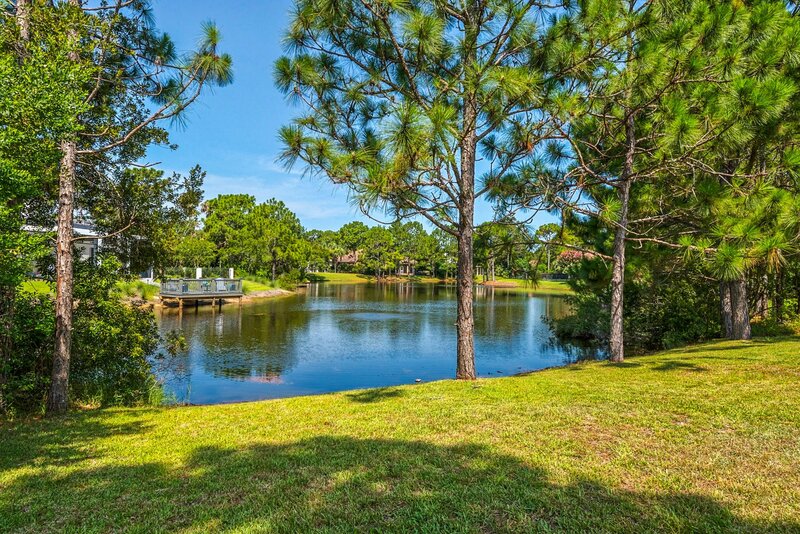 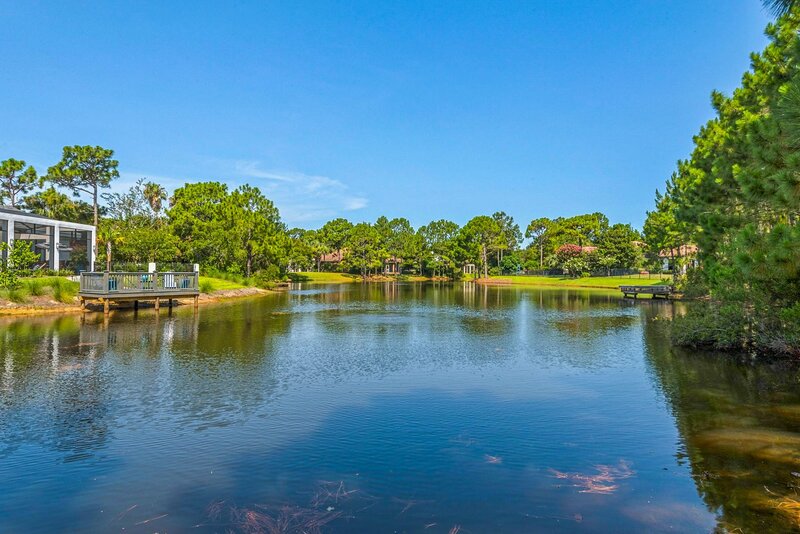 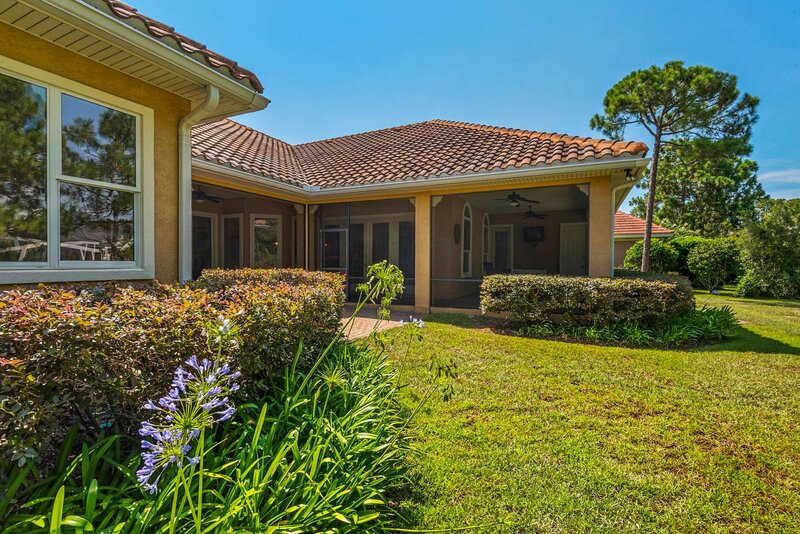 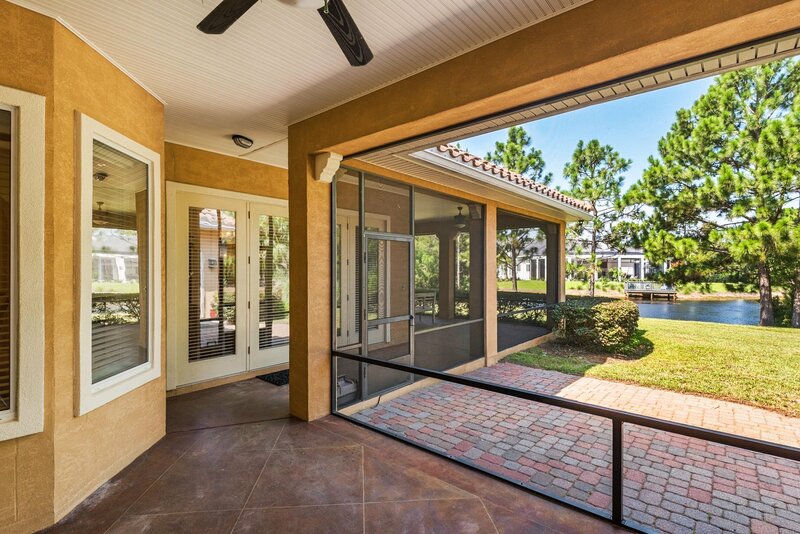 Located in a 120-acre nature preserve, Regatta Bay is an exclusive residential community with gated entrance, tennis, swimming, boating, golf, dining, and more. 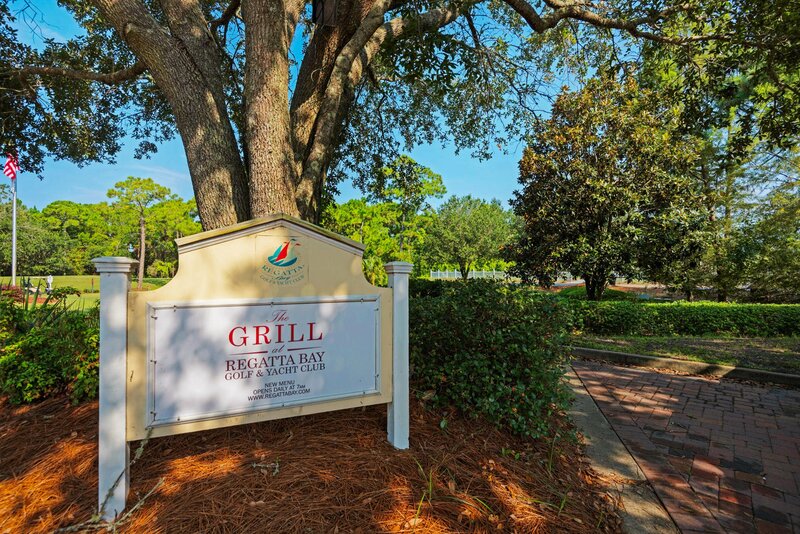 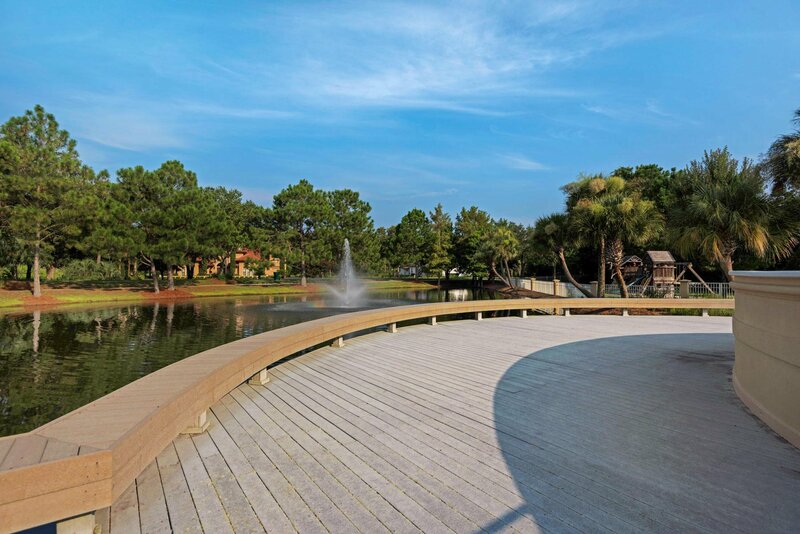 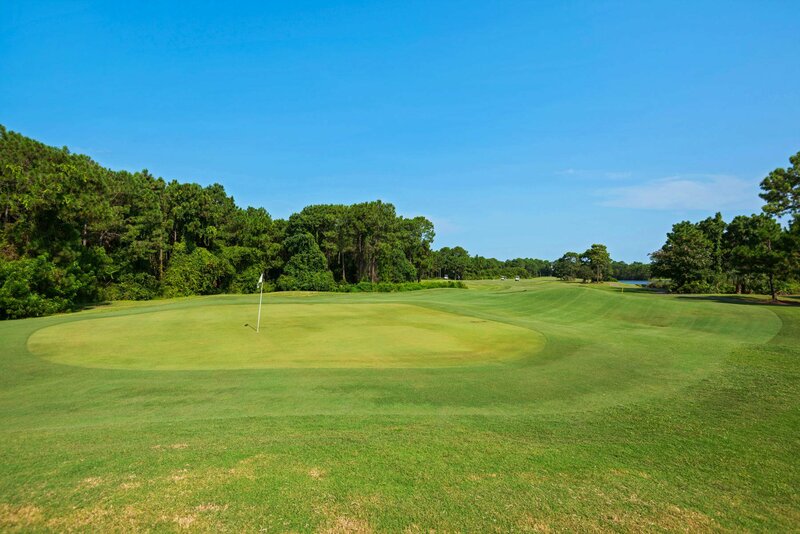 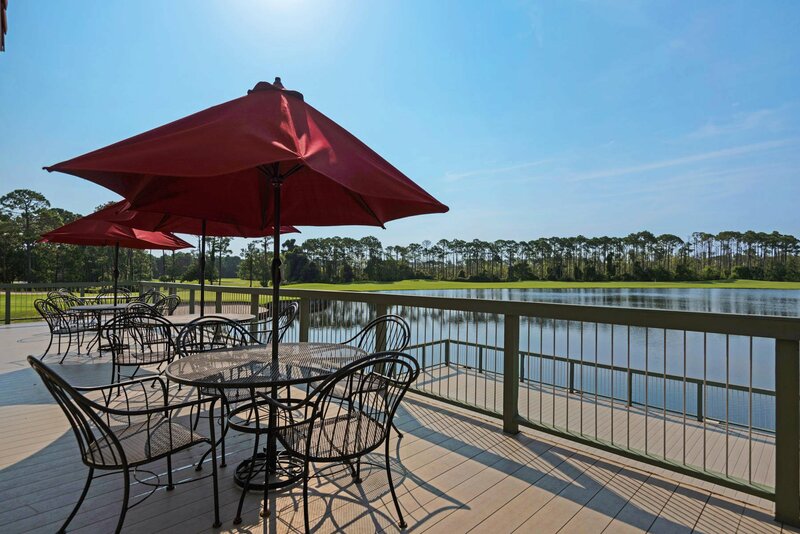 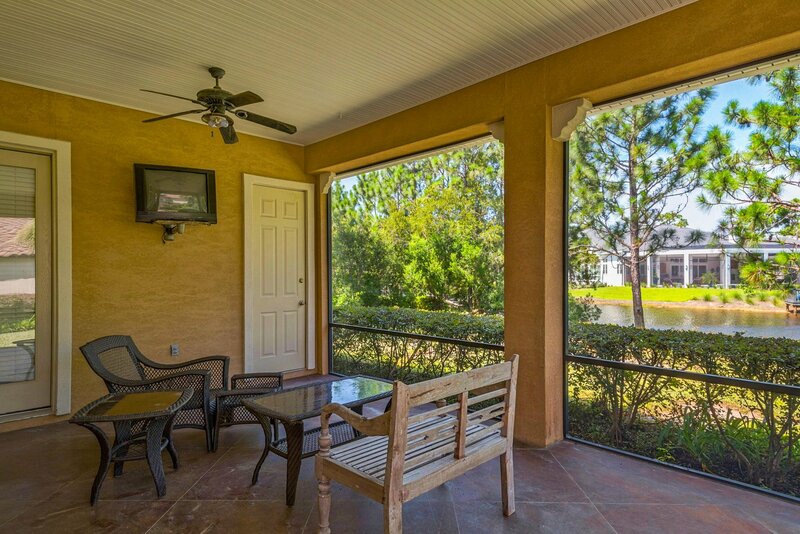 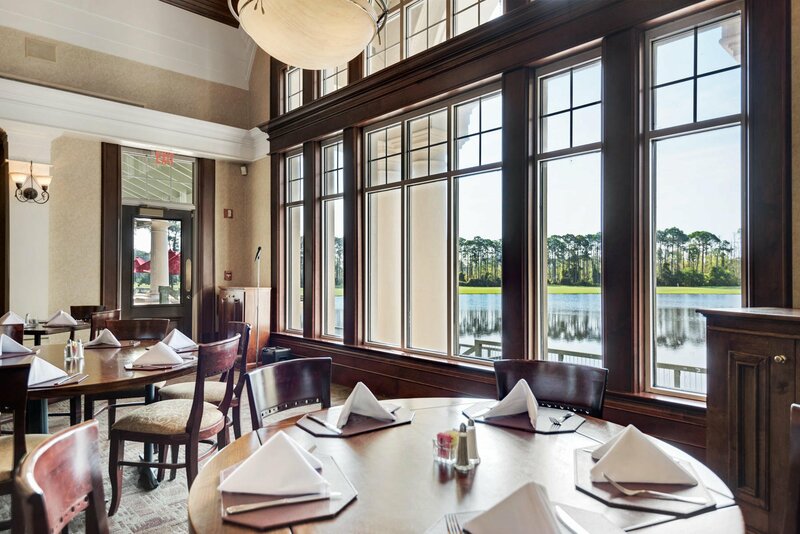 Destin Commons, Lulu's, and the marina are just a short golf cart ride away. 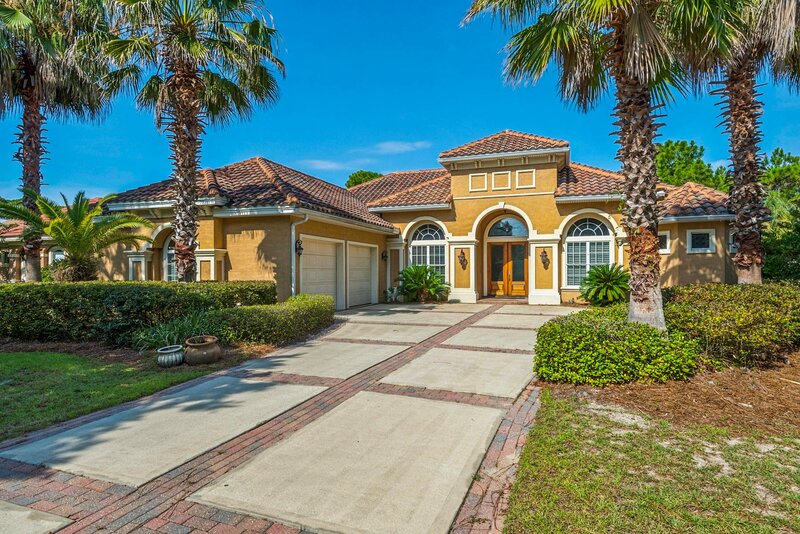 This beautiful home is a must-see! 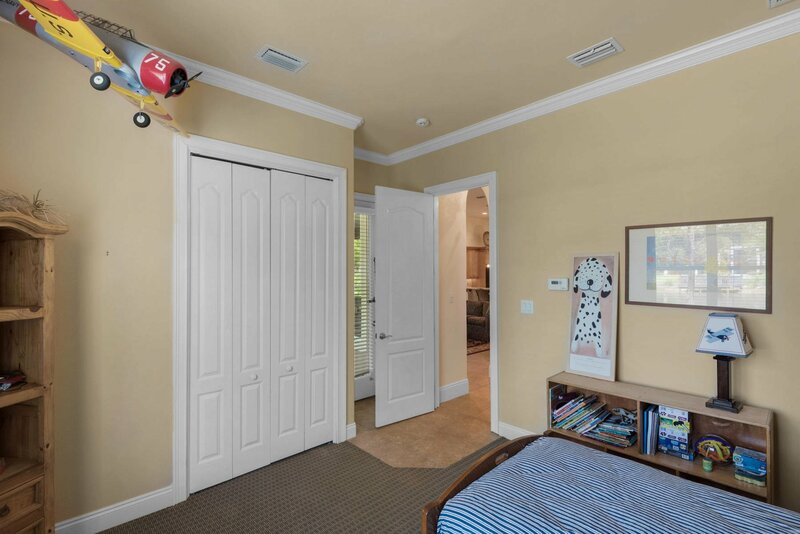 Buyer to verify all dimensions and fees.